Let’s start there. 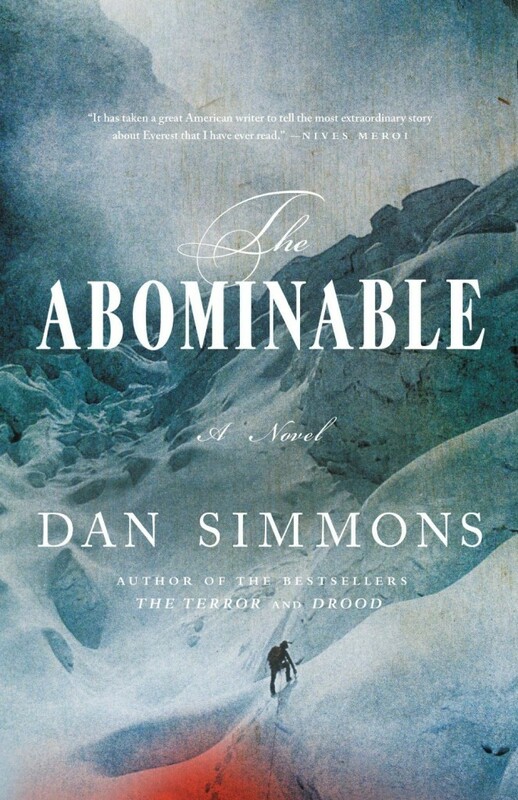 I am only on page 125 of 663 and, though I don’t really know where we’re going from here, I can unequivocally state that I am both beyond impressed and still not being chased by a yeti. All joking aside, I have no idea how the title will play into this one, but there is no hint so far of anything from the realms of cryptozoology. But, man…what a tale already. Austerely written and hearkening back to a time and place nearly 100 years behind us, you need to go into this one expecting something other than an all out footrace from the get go. There is a slow build and development, but if you’re anything like me you’ll find it well worth the effort. Before I go on, let me share the teaser from the publisher: “June 1924. On the brutal North East Ridge of Mount Everest, famous adventurers George Mallory and Andrew Irvine vanish into the snow-whipped night. Daredevil explorer Richard Deacon devises a plan to follow in the men’s footsteps, accompanied only by two friends. Off piste and with no support team, the three men strike for Everest’s peak and the most vicious climate on earth. As the winds rise and the temperature and oxygen levels drop, Deacon and his companions hear howls in the distance. Some dark creature is tracking them up the mountain, sending them scrabbling blindly into Everest’s dangerous heights to escape it. Soon they will discover what happened to Mallory’s crew – but can they escape the same hideous fate? Now…I am an absolute Everest junkie. Actually, anything to do with high altitude mountaineering. Combine that with a tight plotline and a bedrock rooted in actual history (albeit speculatively so), and I’m hooked. Utterly hooked. Can’t wait to see where this one takes me, but I’m galloping through pages at a righteous pace. More to come. Ok…now we have yeti tracks and Nazis. Shaping up to be an interesting go. And, man…what a beautiful slow build. Pacing is great. If you’re not into the technical background and such, I can see it being a bit tedious. If the subject matter appeals, though…wow.